ADI Maryland understands how to equip your vehicles for maximum performance and service life. We offer a complete line of truck and van equipment, as well as custom fabrication capabilities. Our sales staff can help you find the right equipment for your job, and get it installed and ready to work for you. ALGIX is a clean technology company that produces sustainable products using aquaculture and water remediation. ALGIX’s products set the standard for clean, green and low-cost, bio-based feedstock for the renewable plastics industry. Aricomoto is an electric vehicle company headquartered in Eugene, Oregon. Arimoto makes the FUV; a two-seat, three wheeled electric vehicle that has a range of 130 miles and maximum speed of 85 mph. Aricomoto's stock is traded on the NASDAQ with the symbol FUV. Bespoke delivers food right to your door. Bespoke Fitness Fuel uses only organic fruit and vegetables, free-range eggs from local farms, free range poultry, grass fed meats and locally sourced, sustainable fish. Blue Robotics provides high-quality, low-cost components, parts and supplies for marine robotics. The Cable Shopping Network offers collectors the most special and rare collectable coins from around the world. CSN offers many other collectable products including paper money, foreign and ancient coins. CSN's shows are broadcast on the History Channel each Saturday & Sunday. Cielo Waste Solutions Corporation uses a patent pending technology to convert multiple waste streams such as household & commercial garbage, plastics, paper, tires and cardboard into renewable diesel, kerosene and naphtha fuels. Offer dependable, high quality products… and provide a level of service that unconditional… and second to none! Yet, the scope of our business is far beyond just selling van and truck equipment! We often work with our customers well before their vehicles are even purchased… through every step of the vehicle upfit and delivery process… and sometimes until the vehicle’s retirement and replacement. For 31 years, Docu Prep has set the standard for providing nationwide mortgage closing documents, initial disclosure services, through secure electronic delivery tools, loan analysis, and other integrated products. Docu Prep’s standards of reliability, quality and innovation are class leading. EC Supply is a wholesale provider based in Southern California. EC Supply prides itself as the leader in quality, availability and price for their market. Equipt Graphics Solutions in Ohio is a one stop shop for vehicle graphic design. Excellent customer service provides custom exteriors through a seamless process. Manufacturers' representative/distribution firm and EPC since 1950. Provider of custom engineered products serving a broad range of industrial and utility applications across Indiana, Illinois, Kentucky & Ohio. The firm's engineering talent and support of its clients is second to none in its product specialties. GWC Packaging is a national wholesale distributor of tape, packaging products,labels and cardboard boxes for warehouse shippers. The HomePro story is a story of growth and innovation; including security, home entertainment and home automation. HomePro partners with Builders and Homeowners to enhance the places that people live, love, laugh and work. Insight’s team of engineers is pioneering swept laser systems for medical and scientific sensing and measurement. Blacksmith Depot is the #1 source of tools for professional and hobby blacksmiths, ironworkers and smithy’s. Blacksmith Depot is family owned and operated, with the best selection of high quality tools in the industry. Lockheed Martin is a global security and aerospace company engaged in the research, design, development, manufacture, integration and sustainment of advanced technology systems, products and services. Logic Supply configures small, specialized computer systems uniquely designed for embedded and industrial applications. In addition to our extensive product line of pre-configured systems and components, we offer hardware customization, engineering services, software imaging, application development, and complete production cycle management. Man Crates helps customers celebrate the men in their life with unique and exciting gifts men are thrilled to receive. Man Crates makes awesome gifts with a 100% satisfaction guarantee that guys love; gifts that make memories with a hint of mischief. Pavlov Media has been building great networks since 1990 for multi dwelling units (MDUs) such as houses, apartments and dorms. Pavlov Media adds value to properties by constantly expanding on a national fiber optic backbone that connects hundreds of MDU communities in 40 states. Pharmore Ingredients is an industry leader supplying the highest quality dietary supplement and food ingredients to the human and animal nutrition industries since 2001. RHSC Holdings is the parent company of numerous consumer brands, including ULI Boards, the original inflatable surfboard company. RHSC Holdings also manufactures and distributes MOKO Auto truck bed liners. SilencerCo is the world leader in specialized firearms and accessories. In 2015, IT Director Chris Miller recognized the need to replace these systems with a solution that would enable growth in a cost effective and easy to manage ERP system. 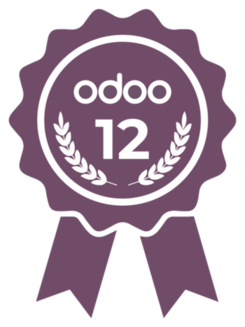 They conducted a thorough analysis of the available options and decided Odoo was the right choice for them, and engaged Open Source Integrators Information Systems to help them proceed. SiliconCore Technology is an innovator and manufacturer of cutting edge LED displays and laser diode controls. SiliconCore created a chip to run the lasers in DVD-RW drives used in PCs with shipments of over 100 million unit per year. SiliconCore's pixel pitch technology makes LE accessible for close proximit applications within corporate, command & control, simulation & retail at a fraction of the power consumption of traditional displays. The mission of Solana Energy is to pioneer an era of sustainability versus the current course of resource depletion. Solana Energy provides building owners with hybrid commercial energy & software to improve their sustainability. Proslat is the organization solution for garages, homes, closets or retail. Proslat provides a wide variety of storage options depending on the customer's needs, including wall storage, overhead racking, motorized ceiling lifts and multiple cabinet lines. Toolots is an international leader in industrial tool sourcing and sales. Toolots takes an innovative, local approach to distribution, lowering downtime, and offering higher quality. Trillium Engineering provides a variety of gimbal solutions and software,enabled by advances in technology and emerging commercial opportunities for autonomous aircraft (unmanned aerial vehicles). ZoeVet is a veterinary bio-pharmaceutical company developing a new class of therapeutic products. ZoeVet's products improve tissue healing after acute injury from scarring to complete rejuvenation of form and function.